For many enterprises, cloud computing offers a number of advantages over premises-based solutions. With an off-premises setup, companies enjoy lower costs as well as the freedom to focus on their business models instead of maintaining their IT and infrastructure elements. 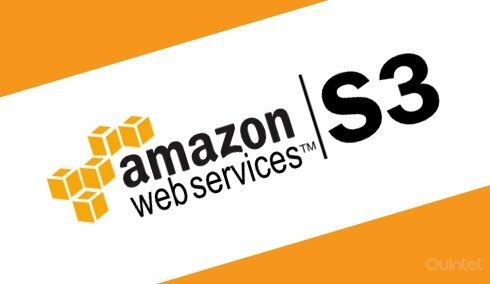 Amazon Web Services (AWS) has advanced its product line to include Elastic Compute Cloud, or EC2, Elastic Block Storage, or EBS, and Simple Storage Service, or S3, making it an industry leader in this realm. EC2 is Amazon’s main off-premises computing platform. It permits companies to rent the infrastructure and virtual computers needed to operate business applications. With the platform, an organization can expand or reduce its capacity in just a few minutes instead of hours or days. This feature allows a company to scale capacity up or down according to its immediate needs, which is ideal for organizations that are just getting started. Through Amazon, a company’s IT manager has the option of choosing the best memory configuration, CPU and storage according to the operating system that the organization uses and the applications that it needs. Amazon is a tech giant. By itself, the company has five times more computing capacity available than the combined total of several other service providers. Amazon also has data center groups, which it refers to as regions, on the west and east coasts of the United States, as well as in Japan, Australia and Ireland. This feature increases the reliability of Amazon’s main computing platform since multiple servers are available in different locales. The service is also secure as it operates in conjunction with the company’s virtual private option. EC2 gives a business complete access to each of its virtual servers for comprehensive control. With Amazon’s platform, a company will only pay for the capacity that it uses. The service works to decrease operational costs since it cuts down on the proportion of system administrators to physical boxes. In fact, the provisioning expenses are practically zero, since off-premises solutions do not require an IT department to set up a server and maintain it. As an added benefit, a number of independent software vendors have made their programs available through Amazon including Microsoft, Adobe and Oracle. By collaborating with Amazon, these companies make system customizing easier and cheaper. Amazon’s EBS gives companies the option of generating storage volumes. Before EBS was available, storage within Amazon’s computing platform was attached to the system itself, so if a request was canceled, its data was lost. EBS lets businesses distribute storage volumes independent of its computing system. 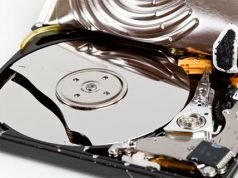 Amazon’s chief technology manager described the service as “an unformatted hard disk.” He went on to say, “Once you have the volume mounted for the first time, you can format it with any file system you want or if you have advanced applications such as high-end database engines, you could use it directly.” The data saved in the system is protected in the same way as when a company uses physical servers. System developers have the ability to establish multiple volumes of storage that vary from 1GB to 1TB. Amazon EBS not only stores massive amounts of volume, but it also permits businesses to develop snapshots and keep them in Amazon’s S3 system. Companies can even use this product for long-term backup purposes. Amazon’s S3 service is an exceedingly scalable object-based storage system. The company designed it for enterprise-level organizations. Several storage choices are available including the standard version. This storage solution is ideal for general-purpose files that must be accessed frequently. An organization can use S3 alone or as a complement to other AWS services. The system can even be used with a business’s third-party storage areas and gateways. S3 is highly secure, which makes it an ideal solution for all types of businesses. When data centers invest in different kinds of storage and install a system that can immediately store files, the setup is often limited and pricey. However, storing data in an off-premises storage system offers practically limitless storage. It is also affordable. If a company needs additional space, they pay slightly more for the extra storage without the added investment of hardware. S3 offers high scalability to provide growth without restrictions. The option of setting up different storage spaces for different operations allows for customization. In addition, each storage space can feature its own security setup for even more customization and control. With EBS, outages can occur, and because off-premises storage solutions are Internet based, access is completely reliant on the connection. Just like hardware, off-premises storage solutions fail for various reasons. When downtime happens, a business’s management team must decide which processes to stop or delay. In addition, a complete outage will disconnect all of the applications. To make the best service provider selection, choose one that guarantees uptimes that are more than 99.55 percent. This comes to just 1.83 days of offline time each year or only 3.60 hours of offline time every month. With this guarantee, businesses are more likely to avoid frequent or lengthy system outages. While the service provider will protect and manage the system’s essential infrastructure, no platform is completely secure. Weighing the risks before making a change is always recommended. Speed can be a problem if a business’s higher-ups decide to cut costs by not upgrading to faster software as this can cause slow retrievals. 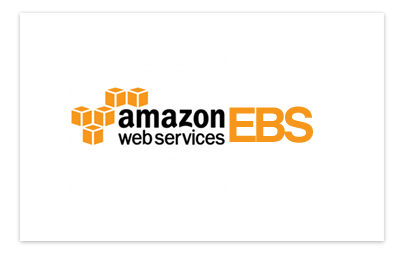 For bulk uploads, the use of AWS may be a requirement, which is another downside to EBS. When large enterprises decide to switch to an off-premises storage solution, they may face a more challenging learning curve than smaller businesses. Also, according to some tech experts, the billing is confusing, so it may be best to use a service provider as they usually offer more billing guidance. Under the canopy of Amazon services, numerous individual technologies can be pieced together to anticipate, initiate, oversee and direct scalable Internet applications. Since scalability lets companies manage their website traffic, the technology reduces overhead by allowing them to avoid paying for servers that are sitting idle. Instead, companies can customize their setups to ensure that they have the exact capacity amount that they need to operate consistently and effectively. 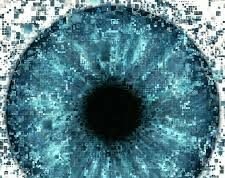 Today, organizations can leave the scaling to the system by setting up intelligent automatic scaling. For instance, Amazon Machine Image is a technology that supplies snapshot templates to determine the parameters for server launching while the Elastic Load Balancer is a virtual load-balancing platform. It gives a company control over configuration. CloudWatch is a monitoring technology that lets an IT manager review his or her company’s platform demands to assess whether changes are needed. For auto scaling, plan to use several command line scripts to complete the setup. Java has a few options available for this. To complete the configuration, download Amazon’s auto scaling command line tool. It is available on the company’s development portal. Then, send the Java programs through the system’s command line to complete an auto scaling setup. Organizations that have an AWS account receive billing assistance and general support at no additional charge. Amazon does charge for personalized tech support. The company’s support center is easy to locate. For help, open a new case under the account and billing support section. This will activate the proper form. Fill it out. Then, select a preferred response. Choices include web, which is a response by email, or phone to speak to a company representative. Amazon does not offer instant messaging for billing inquiries. When it comes to billing, Amazon has a consolidated option available. This allows a business to pay for several service accounts under one payment account. The option displays a total cost amount for all of a business’s Amazon accounts as well as a detailed cost report for each one separately. The company provides this service free of charge. To determine the amount owed, Amazon combines a company’s use of its linked accounts and applies its pricing terms to the paying account. This method is set up to give organizations the full benefit of Amazon’s pricing tiers, which decreases rates for large volume users. The company also has specific rounding regulations in place. For instance, Amazon rounds up to the first penny when an amount is from $0.000001 to $0.01. Despite the drawbacks of cloud computing, the storage solution provides enormous potential for companies of all sizes. As platforms stabilize and the market grows, costs will decrease while dependability and security measures will improve. As long as an enterprise takes advantage of Amazon’s many storage features and services, upgrading to its platform is cost-effective. When an off-premises solution system is supported through a reliable service provider, company managers will enjoy peace of mind. 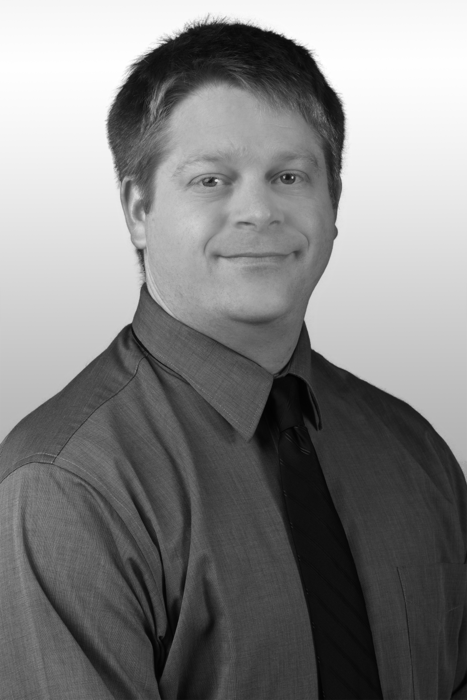 Sean Chapman is the IT Infrastructure Manager at Spin Systems, Inc. (spinsys.com). With two decades of experience in information technology, Sean manages the IT administration team supporting internal operations and client systems. He is a certified Amazon Systems Operations Associate and leads cloud computing initiatives for SpinSys, as well as directing network engineering, system design and architecture, cloud design and migration, and system maintenance and support. Previous articleHow Wireless Technology is Benefiting Industry?